In the Nottingham Tennis Centre on University Boulevard, there is a shop called EDGE which sells rackets and clothing. They also offer a racket restring service. 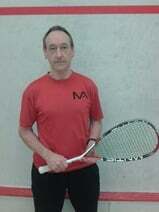 The owner, Mark Ness, has given Trent Vale Squash a deal whereby all racket strings done by EDGE will be reduced by 20%. So, all you have to do is take your racket to EDGE in the Nottingham Tennis Centre and show your TVSC membership card and some form of id to claim your 20% restring discount. But please don't put yourself nor the EDGE staff in an embarassing situation by saying your from TVSC but have not brought along your membership card and id !!! A qualified stringer for squash, racketball, badminton and tennis rackets with the UK Racket Stringers Association. Rackets strung using electronic stringing machine with string accuracy to 1/10 lb. Large selection of strings in stock. 25% off your first restring. Free Collection and return from the Trent Vale club. A member of the club, Matt Guest, is offering Special Rates to members of Trent Vale Squash Club with MTG Energy Solutions. A member of the club, Dennis Bell, is offering members a 10% discount on web hosting from DBN Web Design.